As reported by Variety, now-former Weinstein Company head Harvey Weinstein has been given a lifetime ban from the Producers Guild Of America—a trade organization that honored Harvey Weinstein with a Milestone Award in 2013. 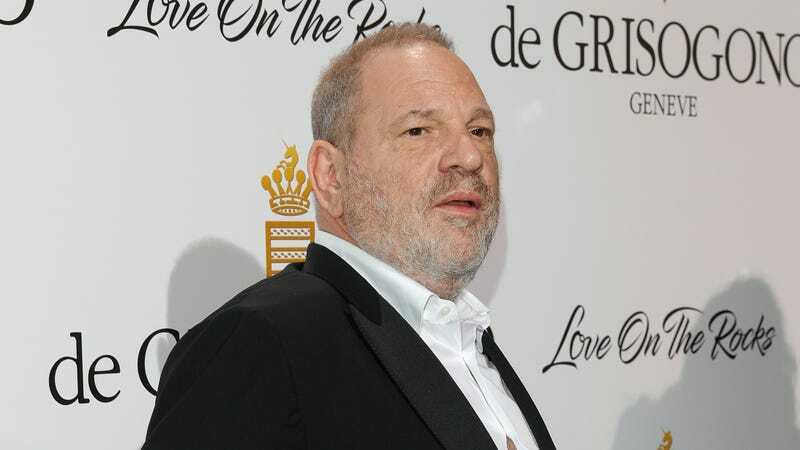 The Producers Guild released a statement explaining that it unanimously voted to begin the necessary procedure to terminate Weinstein’s membership from the group, but it has to give members 15 days “before disciplinary action is taken.” Once he received notice that the Guild was preparing to remove him, though, Harvey Weinstein willingly resigned his membership—eliminating the need for the 15-day waiting period and making his lifetime ban effective immediately. This news comes as Weinstein has already been expelled from the Academy Of Motion Picture Arts And Sciences and the British Academy Of Film And Television Arts. Variety adds that the Directors Guild Of America is also now working to expel him.